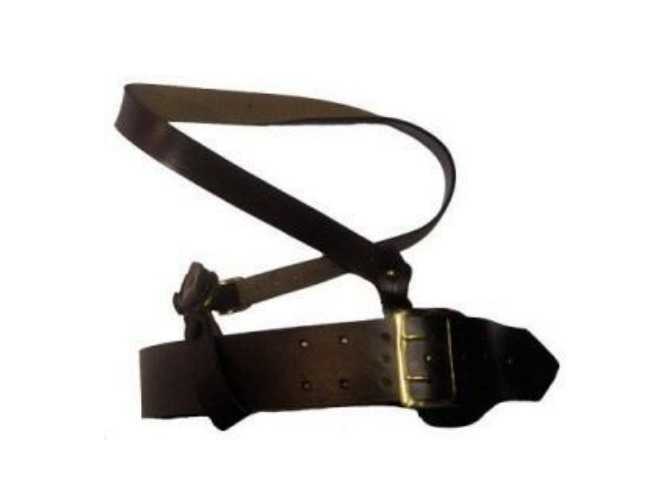 Brown leather Sam Browne belt. Brand new top quality leather Sam Browne belt. These belts are made with the best of leather and buckles. This is a great belt. Made our own craftsmen to Ministry of Defense standards.